I haven't worked with Apophysis (a "2D" fractal "flame" generator) in quite a while so I decided to boot it up on Asfaloth while two particularly lengthy renders were finishing on my desktop workstations. I was particularly interested in the new "3D" features of the program and trying to emulate some of the incredible floral renders I've seen online. This render doesn't quite look floral yet, but I think it looks interesting enough to share in my gallery while I keep learning. Let me know what you think! Ryan: if you were to decide to do pickle jar variations on this wallpaper, it would be nice to see different colors spreading across the picture in a palette appropriate to your artist's eye. This is a fetching wallpaper that I have been using at work since it showed up on the website. It has a tendency to draw the eye to it. I could think of some very interesting variations in pickle jar versions with different colors. Another superb original work. Wow! I usually prefer your 'real life' renderings over the abstracts but this one really 'spoke' to me. I love the movement and the subtle colors! Nice work!! Actually it did make me think of a flower before I read your description, so you've done a better job than you thought. A splendid looking fractal. 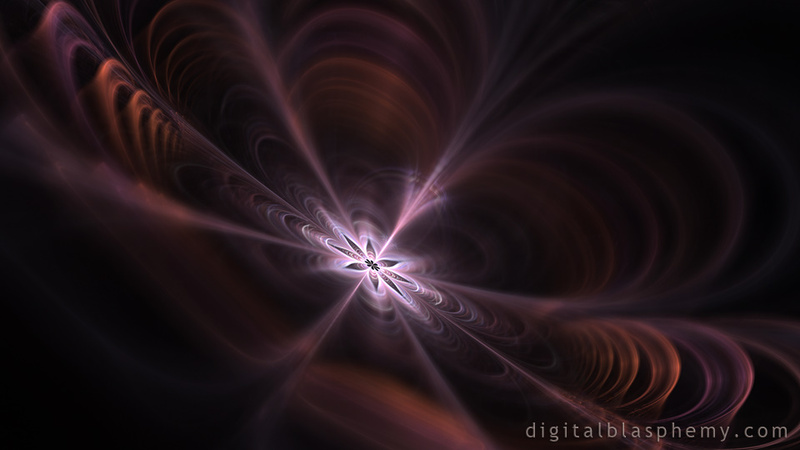 Apophysis takes some time getting used to but it can create some amazing images. This is a neat abstract, ever thought of pickling some color variations of this one? Like. ahem.. cough cough.. blue? 9+ Nice balance of shapes, colors, dimensions, etc. Can't wait for the dual-screen versions! "Best Fractal Render So Far"
Ryan the pieces you have done lately with central focus on a small fractal that expands infinately is refreshing and calming - not to say your landscapes and cityscapes are not equally unified - your work is continually amazing and your growth as a digital artist is a joy. 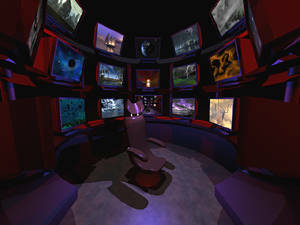 Contributing as a lifelong supporter gives back to me in spades - being a voice actor with a private studio I build your work into the theme of my studio on all screens and the actors and producers I have in my studio always are amazed at what they see on the screens when they come in for a session. Thank you!! +1 Archangel, I can't get enough of your abstracts and the last few months have been full of great, imaginative works! I've always loved your abstracts and there is something about this one I just can't take my eyes off of.